Many people make this statement a part of their daily affirmation program. And the results have been amazing. One attorney thought it was silly, but was game to try it and so repeated this statement all the way home from the class. As he walked up to his front door, his roommate ran out and handed him a check for money he had owed him for nine months. Effie, a young photographer, was saying this affirmation in her car. When she stopped at a traffic light, a homeless man knocked on her window. When she rolled it down, he handed her five dollars! Change your mind about money today and change your experience with money tomorrow. Try it and see. You wear your thoughts like you wear clothes. Your thinking shows up on your face and in your body language and in your energy. 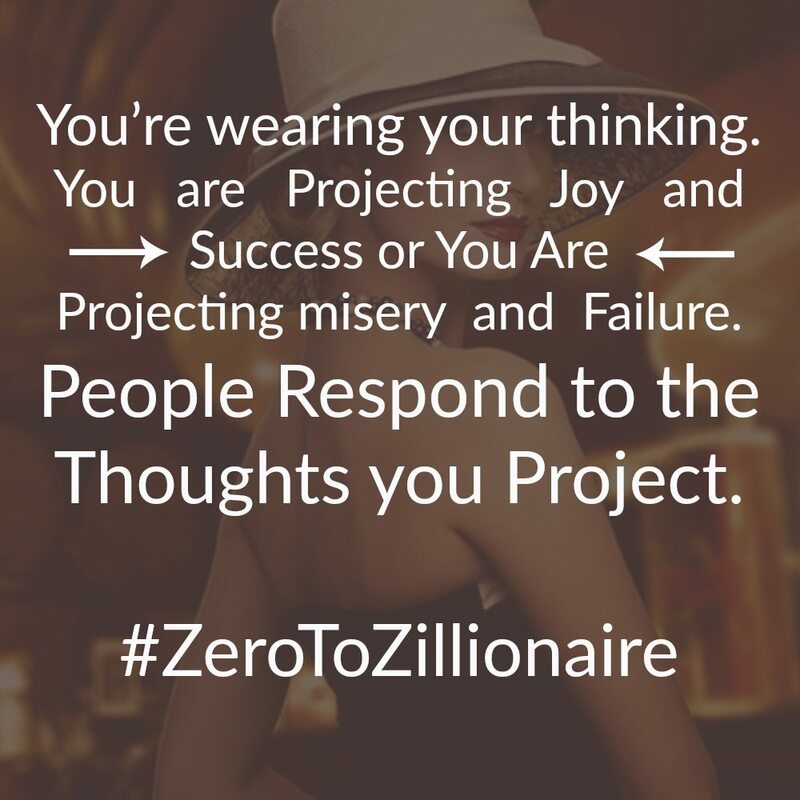 You are projecting joy, success, and prosperity or you are projecting misery, failure, and poverty. And all points in between. People can see it and they can feel it. They respond, consciously and unconsciously, to the thoughts you project. I explained this once on a radio show in Billings, Montanta, when my book, The Wealthy Spirit, was first released. The interviewer was Tommy B, and the call letters of the radio station were KBUL. I pictured him as a skeptical guy in a cowboy hat and boots, and didn’t think he was going to be wildly enthusiastic about practicing positive thinking. “Well, yes, Tommy, I am,” I said. “So do you hire the people who look happy and successful, or do you hire the people who look angry and complaining? “I hire the people who look happy and successful,” he replied. We’re all wearing our thinking. 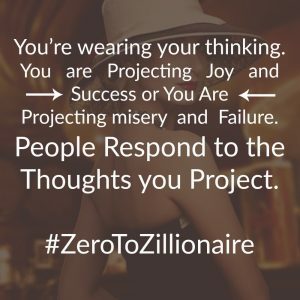 Are you wearing prosperity or poverty? Success or failure? Love or hate? And who do you think you are attracting with that energy?